One of the Wild Philanthropy’s key drivers for encouraging and supporting at-risk ecosystems is sustainable travel. Low-volume tourism specifically designed to have a positive long-term environmental, social and economic impact at the local level, it serves as catalyst and / or support for wider sustainable development initiatives. Done well, low volume – high value tourism or ‘impact travel’ works, as evidenced by the success of the likes of the Friedkin Trust, Singita, the Northern Rangelands Trusts, Great Plains Conservation and the Congo Conservation Company, and by countries such as Botswana, which employs the model in its national parks and reserves as a matter of practice. Partnering with local communities, these are the organisations and governing bodies that have shown that it is possible to leverage sustainable travel as a means of creating a positive, long-term impact, re-wilding and / or protecting land in such a way as to profit all key stakeholders, the wildlife included. However, an enduring criticism of the model, however genuinely sustainable, is that it is by definition elitist. The price of a bed on land seeking to support the minimum number of travellers possible is beyond the pocket of all but the very few. 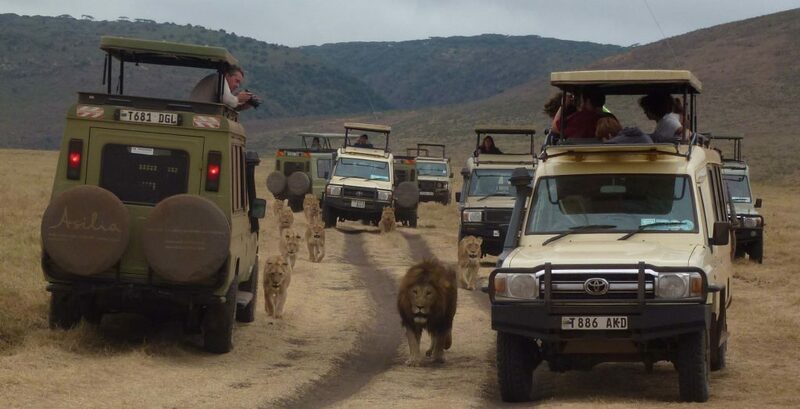 While countries might mitigate costs through concessionary park fees and permits for citizens (even these are beyond the financial reach of many locals), the reality is that travel in the form of safari is an expensive pastime. People, say critics, are thus denied access to the wildlife that their countries promote as a national natural heritage. It’s a conundrum. We’re all familiar with over-visited parks and reserves, the effect it has on the experience, on the wildlife, and on the habitat. Travel of this kind is unsustainable, and fails to support wider Sustainable Development Goals. Key stakeholders – local communities and the wildlife – don’t benefit. Indigenous cultures are compromised. The destination is incrementally degraded. At the same time, if Africa’s wildernesses are to flourish, then denying access to the very people on whom their future rests doesn’t make a whole lot of sense. From a conservationist perspective, it’s a problem perhaps best understood, says Great Plains CEO Dereck Joubert, as a question of strategically zoning products according to different needs and objectives. As example, Joubert points to four types or models of Africa safari product: free, $50 park permit, $500, and high-end. Aimed at the local and the disadvantaged, Great Plains’s free model takes the form of conservation camps for the young. 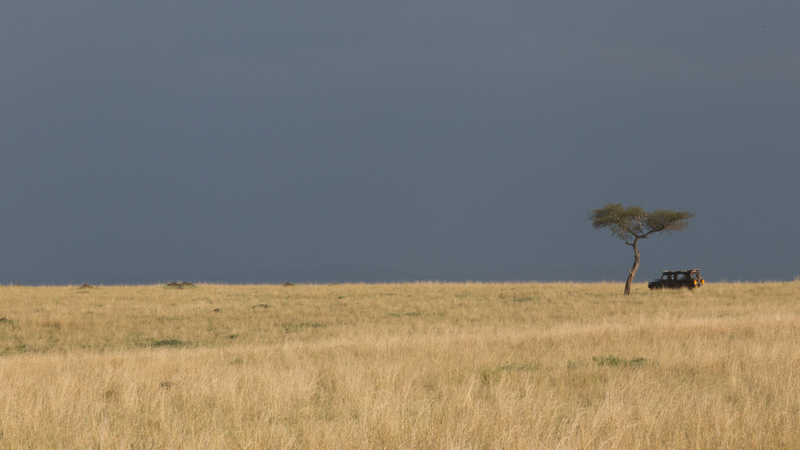 For the second, Joubert points to well-run self-drive high-volume protected areas, such as Nairobi Park. The third, meanwhile, sees a Great Plains model that goes beyond the average park, allowing travellers the opportunity to walk, canoe, or ride the wilderness. The last is the high-end offer, which in the case of Great Plains includes beds valued at $13,000 a night. The reason, says Joubert, for separating the wilderness experience into different models is that it affords conservationists the opportunity to have multiple conversations at the same time. ‘Don’t forget: this isn’t about tourism, or even just conservation. We are in the business of changing the world.’ Whatever the apparent disparity of the high-end model, it’s extremely important that we get to meet and speak with the people who are capable of doing just that, their advice, networks, financial support, their own subsequent Africa-based initiatives, vital to the cause. For this to happen, you need, says Joubert, the wild afforded ‘poets and philosophers’, the space to think, to be inspired. Which is as good a place as any to end on. As Gates implies, philanthropy’s not the answer to sustainable development in Africa – and nor is the impact travel model that provides the experiences that originally motivated him. However, both are most certainly extremely powerful starting points, and capable of implementing change quickly and in such a way as to act as both the springboard and support for exactly the kind of wider sustainable development initiatives that seek to benefit all – and for the very long-term.